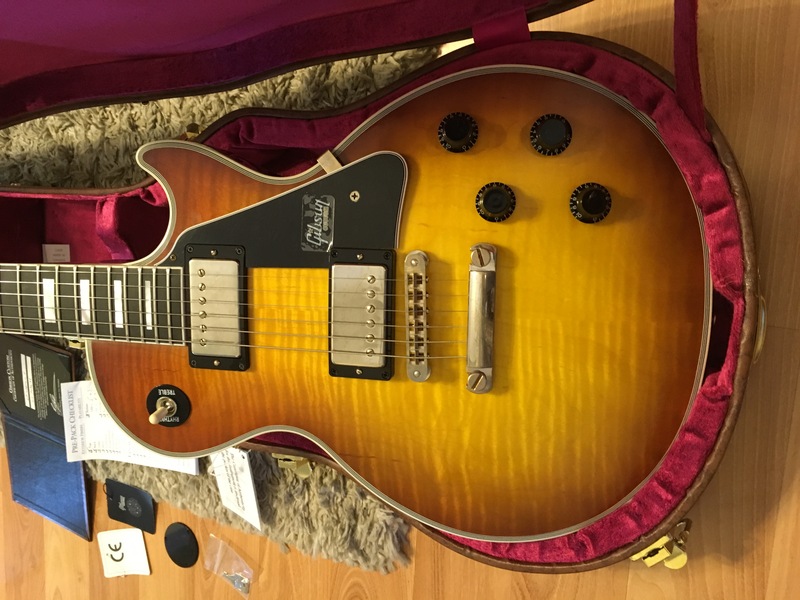 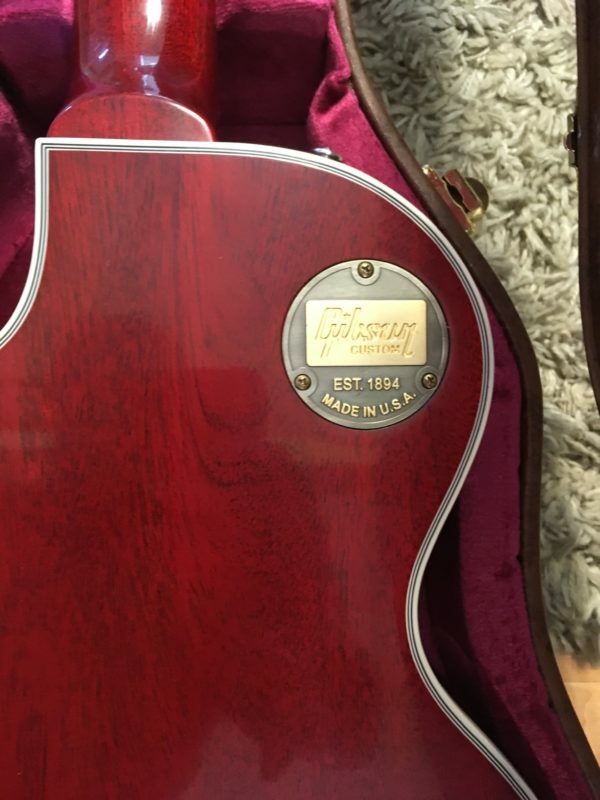 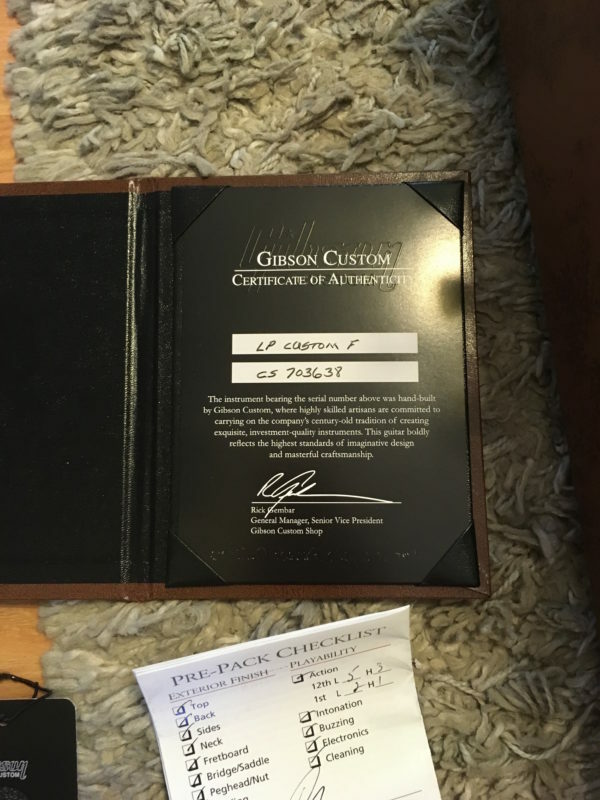 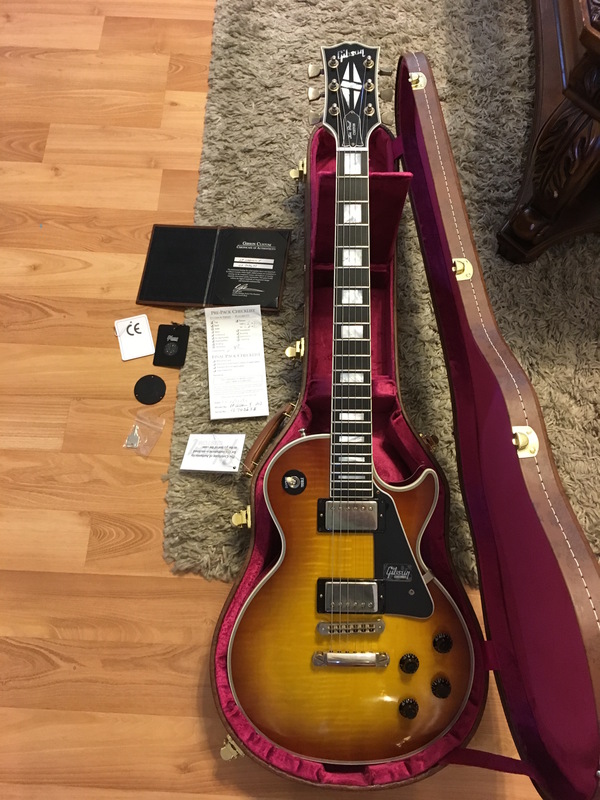 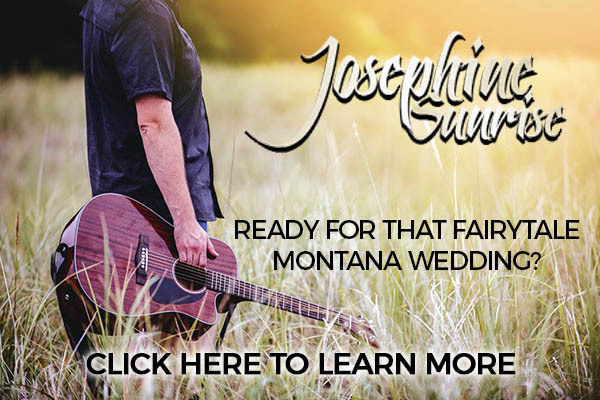 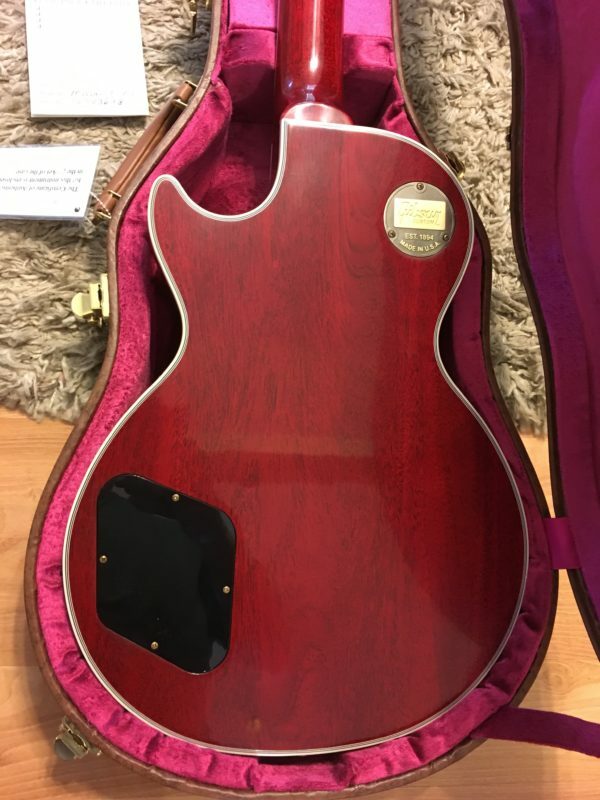 2018 Gibson Les Paul Custom F Custom Shop VOS Aged guitar in brand new condition with original case, COA, shipping carton. 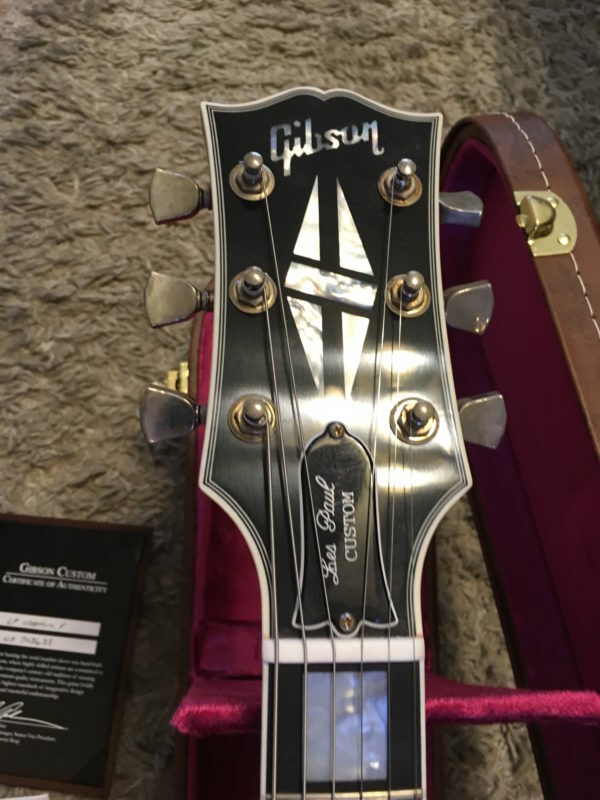 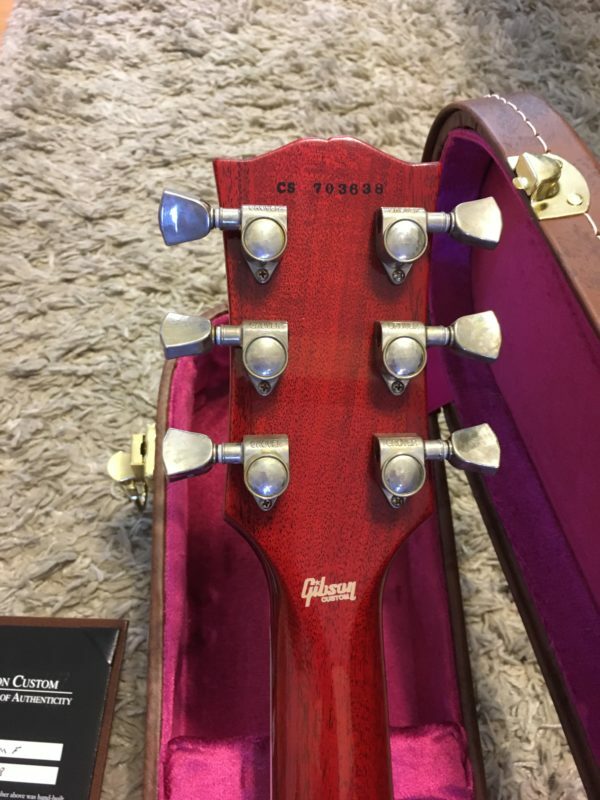 Brand new at Roadhouse USA location is a 2018 Gibson Custom Shop Custom F in very rare VOS! 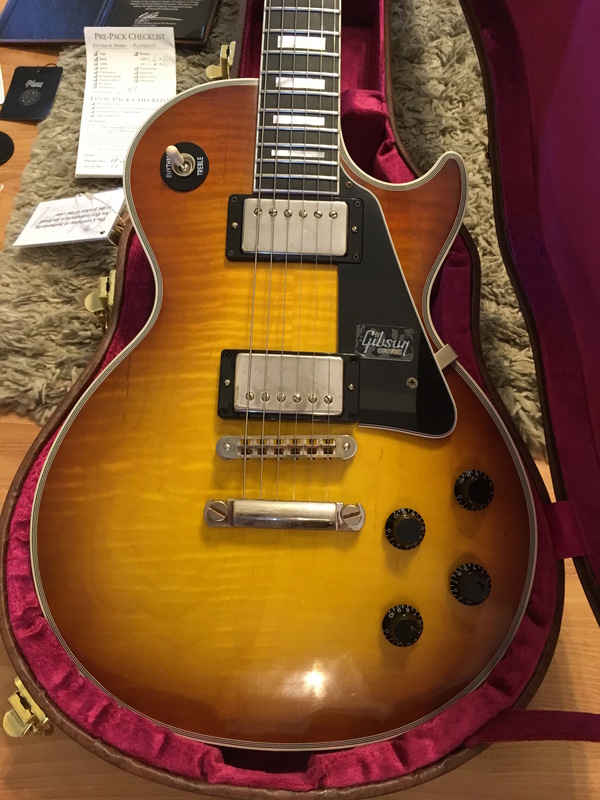 This one even includes the original shipping box and is completely unplayed. 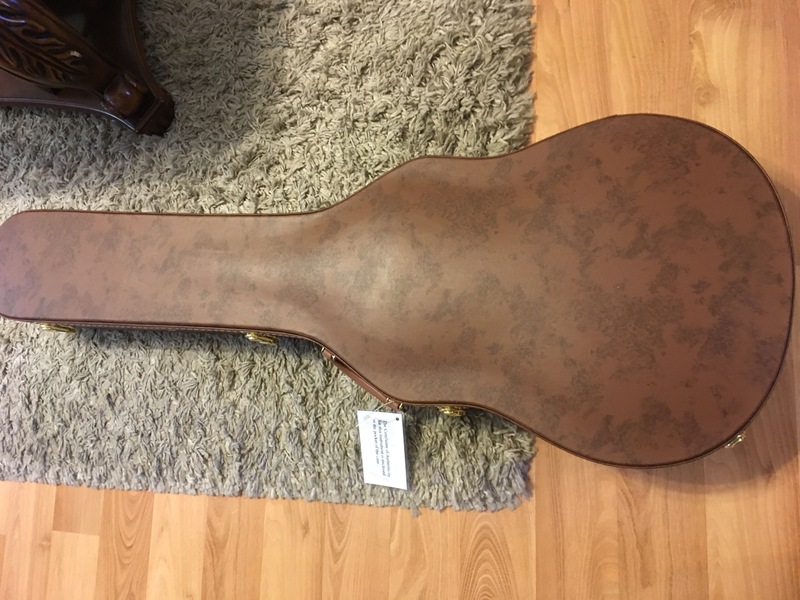 Comes as pictured with COA, all hang tags, original case etc. 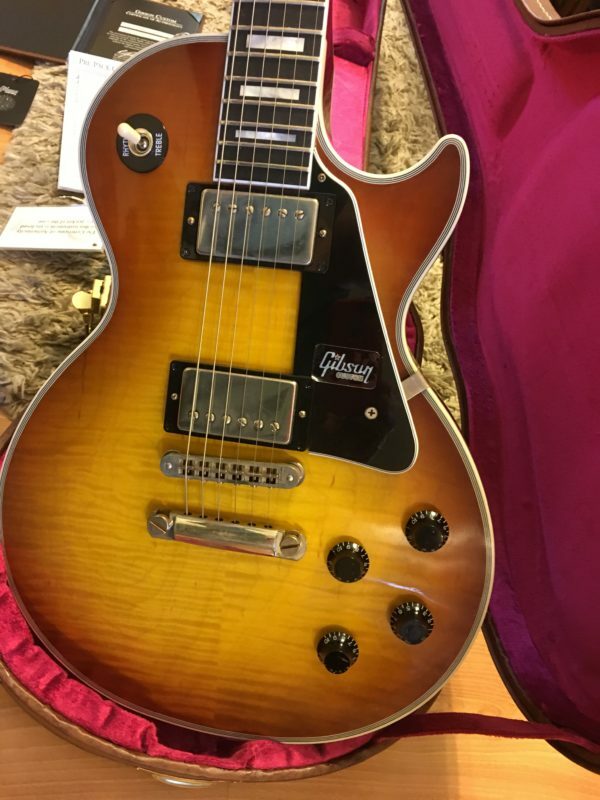 It is very rare to find a Custom F in VOS and this one just oozes ‘vibe’ Get it while you can, you will not find another like it.